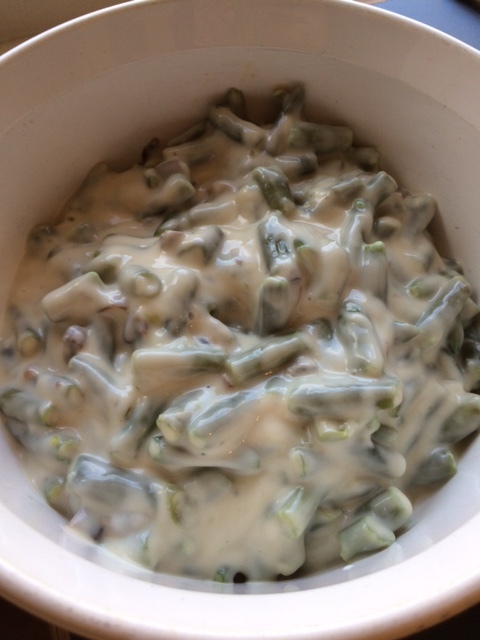 There are just a few traditional dishes that always remind people of the holidays and a French-fried onion green bean casserole is one of them. The family I cook for doesn’t really like onions so I simply deleted the onions. They won’t notice mushrooms in the soup. This casserole is easy and delicious making it a great way to get kids to eat their vegetables any time of the year. 1. In a 1-1/2 quart casserole mix soup, milk, and pepper. Stir in beans and 2/3 cup french fried onions. 2. Bake at 350 degrees F (175 degrees C) for 30 minutes or until heated through, stir. 3. Top with remaining 2/3 cup of french fried onions. Bake 5 minutes more or until the onions are golden.